Explore: Junior Rangers have fun at state parks! They follow park rules to stay safe and so the natural resources are here for the future. Learn: Junior Rangers teach their family and friends what they learn about the park and how to take care of it. Protect: Junior Rangers help park rangers take care of the park's natural resources. Earn all Junior Ranger patches by visiting each state park. 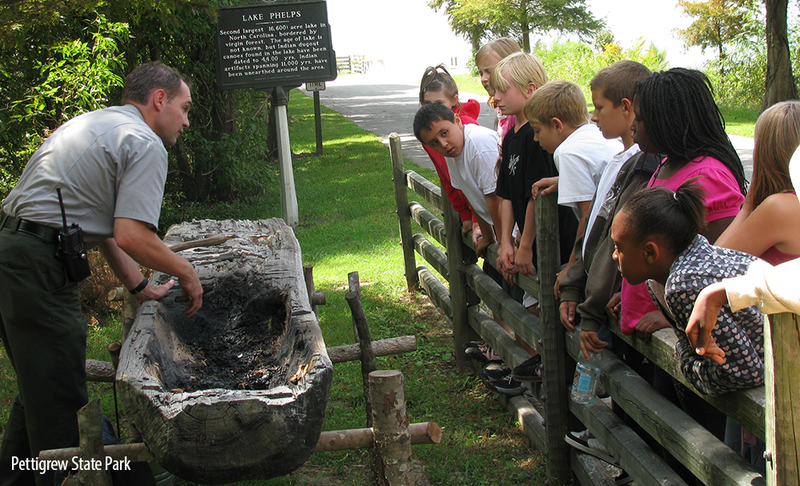 For more information on the Junior Rangers program and to see events at each park, visit the North Carolina State Parks website.